The Australian Competition & Consumer Commission (ACCC) has released an Issues Paper on its inquiry into retail electricity supply and pricing in Australia’s eastern states. It’s now invited public comment on issues surrounding the energy market to help them uncover any concerns and ways to address them. Within the Issues Paper are outlined a number of areas into which the inquiry will investigate, involving directly seeking out particular data from retailers, as well as inviting interested parties to offer comment on their concerns and experiences regarding their interaction with the retail electricity market. What this means for consumers is a step towards a better understanding and better regulation of prices. Canstar Blue research conducted in December 2016 found that 55% of survey respondents think that they get a good deal on energy. That means almost half of Australians are unsatisfied with energy prices. That likely explains why 42% of respondents have compared electricity plans from different providers in the last year – they want to make sure they’re getting the best deal. 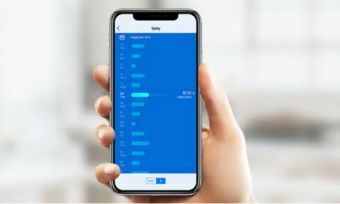 Yet 64% have been with their current electricity provider for five years or more, with 41% stating that they have never switched providers and 34% stating that they would like to switch. What’s stopping the third of Australians who want to switch energy providers? Is it that the alternatives are equally poor, or is it that it’s too difficult to make the switch? These are questions that the ACCC inquiry will hopefully be able to answer. 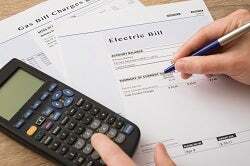 Why is there an inquiry into retail electricity prices? Over the last four years, household electricity prices have increased by around 35% nationally. While these price hikes can be partially attributed to the costs incurred by recent upgrades in supply infrastructure, the significant burden of energy costs placed on households is worth investigating. In March 2017, Treasurer Scott Morrison issued a formal notice to the ACCC to commence a public inquiry into the supply and competitiveness of the retail electricity market. The ACCC has now released an Issues Paper further detailing the issues at hand, and the questions it is determined to answer. The purposes of this inquiry include determining the reasons why current electricity prices and supply structures exist as they are currently, and whether further government intervention is necessary to keep electricity prices fair and affordable. How will the ACCC inquiry work? As part of the release of the Issues Paper, the ACCC is now seeking submissions or comments as well as actively pursuing information and data from relevant parties. The inquiry seeks to understand both the status quo of these matters, as well as likely future trends. Submissions for feedback in response to the Issues Paper are sought to be completed by the end of June, in order for the ACCC to prepare its preliminary report due to the Treasurer in September 2017. Following this, further research and analysis will be conducted with the deadline for the final inquiry report being June 2018. What does this inquiry mean for me? Put simply, the ACCC wants to shed more light on the retail electricity market to help consumers make better, more-informed choices about their power supply, with the ultimate aim of helping households reduce their energy costs. Recent studies – including research from Canstar Blue – have found low customer understanding of retail electricity offers, including the structure of contracts and how conditional discounts work. As of January 2017, there were more than 4,300 different energy offers available throughout the NEM. There’s also low awareness of how to find information to decipher these offers and make the best choices. One important way customers can understand their electricity needs and choices is by accessing historical usage data. One of the objectives of the ACCC’s inquiry is to determine whether there is adequate access to such data, and what practical difficulties exist for customers in using such data to make choices. What powers does the ACCC have over the electricity market? 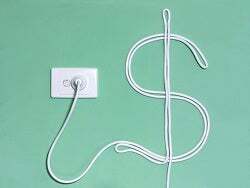 The ACCC is the regulatory body charged with enforcing the Competition and Consumer Act 2010, which in the context of the electricity market means the ACCC’s role includes enforcing provisions regarding industry competition and consumer protection, as well as overseeing mergers and acquisitions within the electricity market. The ACCC no longer regulates monopoly energy infrastructure. This role is under the responsibilities of the Australian Energy Regulator (AER). Through this inquiry, however, the ACCC has the legal power to require the release of certain information from industry participants where necessary, in order to fulfil the purposes of the inquiry. What are the possible outcomes of this inquiry? Written feedback and requires in response to the Issues Paper, or more broadly regarding the ACCC’s inquiry into retail electricity supply and pricing, should be directed to the Inquiry team at retailelectricityinquiry@accc.gov.au. Telephone conversations about the Inquiry are also welcome, via Eva Wong at (03) 9658 6530 or Rebecca Holland at (03) 9658 6467. The ACCC says it will also be directly contacting some market participants to request specific information. Public forums will be held around late July through August 2017, with locations and dates yet to be confirmed. There will also be opportunities to provide feedback after the preliminary report has been provided to the Treasurer.